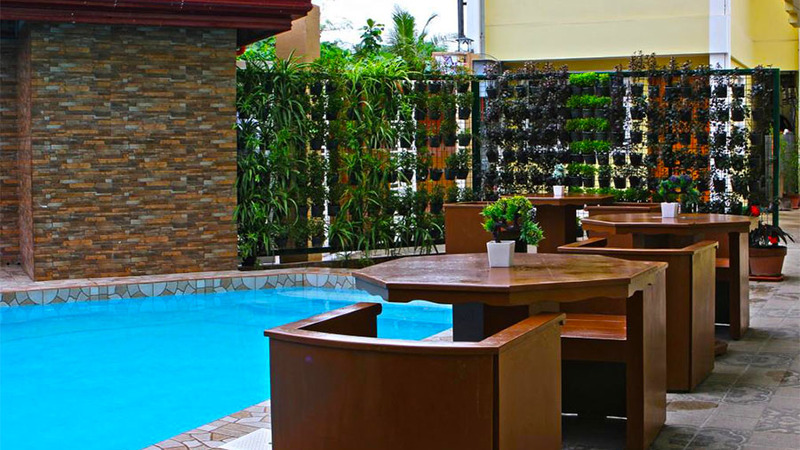 The five-star Laciaville Resort and Hotel is easily accessible as it is located only 1.7 kilometers from the Mactan-Cebu International Airport. The accommodation is modern with a perfect blend of vivid and muted colors that please the eyes. 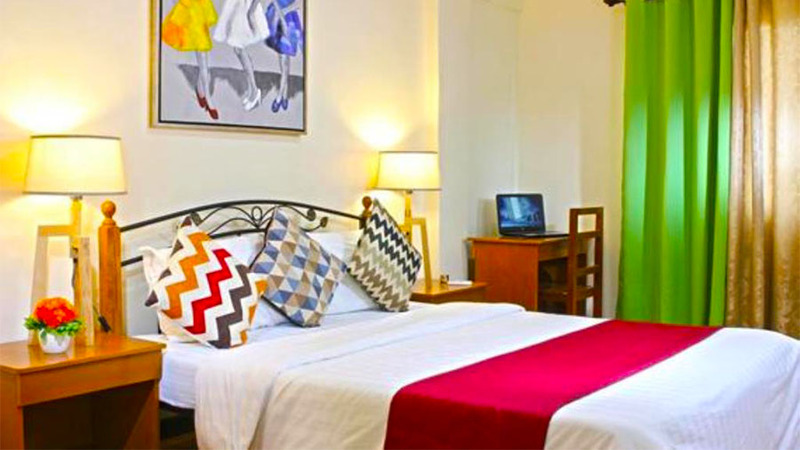 The spacious rooms have classic amenities so that the guests will have a memorable stay. The charming Laciaville Resort and Hotel is located only 9 kilometers from the amazing historic site of Fort San Pedro. 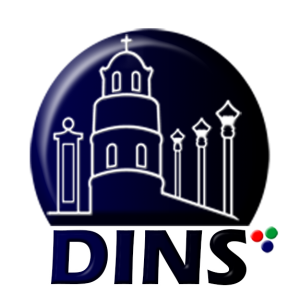 There are other equally interesting tourist attractions like the Ancestral House Yap Sandiego, the Magellan’s Cross, and Basilica de Santo Nino in the vicinity. There are a number of restaurants offering Asian, Mediterranean, Mexican and International cuisine near the Hotel. The seafood specialties are a favorite of the guests as well as other tourists visiting the island. The spacious rooms and amenities are just right for large groups or families. 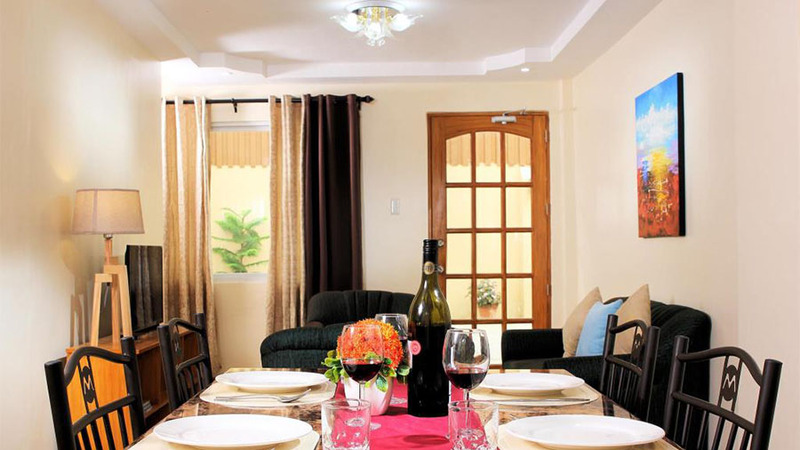 The Hotel offers 3 different types of apartments. All of them have 3 bedrooms, but they differ in style, size, and amenities. All the rooms are equipped with additional bathrooms and toilets. This is most convenient when there many family members. 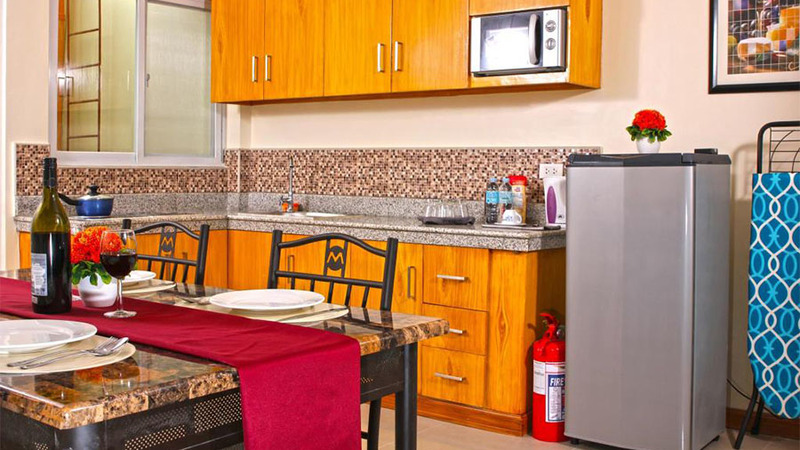 The kitchenettes are fully equipped with cookware, Microwave and other appliances. Also, pets are allowed in all rooms. Each apartment has a hairdryer, a washing machine, fire extinguishers, and smoke detectors. The room tariffs range from $75 to $110. This Hotel is the best choice of accommodation for familes with small children. There is a separate playground and swimming pool for kids. There is also a family room where adults and children can have fun. 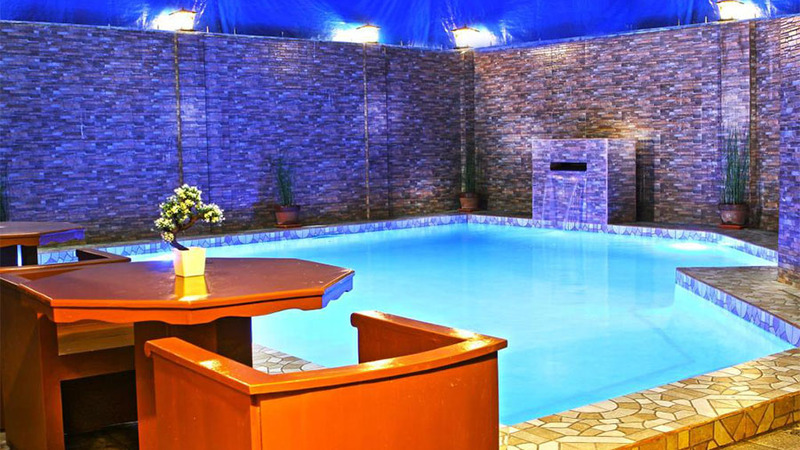 In the evenings guests prefer to hang around the larger swimming pool or the BBQ. Babysitting services are available on request. There is free Wi-Fi access all over the property. 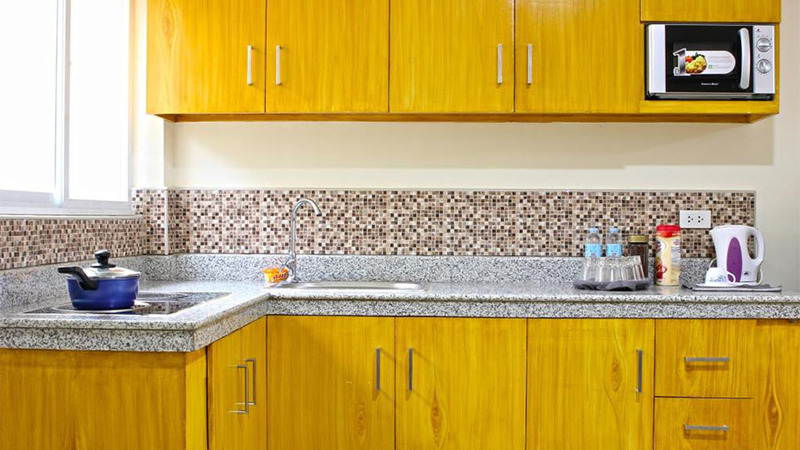 Other amenities include air-conditioning, 24×7 housekeeping service and in-room dining, and more. The in-house amenities are definitely praiseworthy. The Hotel staff provide CDs/DVDs of the latest movies upon request. The concierge service and reception is irreproachable. For those who wish to go sightseeing around the picturesque Mactan Island, the Hotel provides air-conditioned taxicabs that have a lot of space. The Hotel also have a 24×7 check-in service because their guests reach the Hotel at different times from different parts of the world. For the most unforgettable tropical island holiday with family, kids, and pets the five-star Laciaville Resort and Hotel on Mactan Island, Cebu is a wonderful choice. So what are you waiting for? Book now and treat yourself to a holiday of a lifetime!